Our story as it happened! When it comes to planning your wedding there are a lot of things to think about, consider and budget for. The list will seem endless and you may not know where to start, yet when it comes to wedding planning there are certainly a few things that should be your starting point and priority. Why Photography should be a Priority when Planning your Wedding ? The most important part of a wedding is the couple, and that is what it is all about and that is all that matters at the end of the day. However, when it comes to planning the big day you shall speak to a lot of suppliers, from florists, bridal boutiques, caterers, Band walas, Make-up Artists, Mehandi wala, Pundit ji, the list goes on, all these people will tell you how important it is to get it right. Getting the right flowers, having the best food, it is all about the dress that is good, the best make up and Mehandi, you want to work with passionate people, however are these a priority when planning your wedding? Of course they should be included and we are not saying you should leave out any of these, but are they more important than wedding photography? Is wedding photography the most important thing when it comes to your wedding? Nope, not at all, however when it comes to planning your special day it should be up there on the priority list of things to look at, budget for and book. Wedding photography is important because it will capture your day, it will capture your memories, it will tell a story and not just any story, it will tell a beautiful story of your special day, a day you will never forget. A story that you can show friends and family, your kids, and grandchildren, something you will have and can treasure for ever. You see your flowers will wilt, your cake will quickly be eaten, no one remembers the brand of Liquor they had in a wedding, your dress shall be worn once, those shoes shall go back into their box, this isn’t me trying to be glum and miserable, this is about perspective, this is about helping you focus your budget on things that you may not put importance on, such as wedding photography. When it comes to wedding planning, it is more than just one day; it is about a lifetime of memories. Earlier we mentioned about couples who didn’t put too much importance on wedding photography, and it can easily be forgotten or put down the pecking order because on the day itself, you don’t have anything. If you go to a florist they will create beautiful bouquets of flowers for you, your cake maker will make the most delicious and gorgeous looking cake for your day, the list goes on, the thing is here, these are things and items that will be there on your day, things that you and everyone will see. Yet when it comes to wedding photography you are paying for something you won’t see till after, and the best wedding photographers will go unnoticed, your guest won’t even know they are there. When it comes to wedding planning, it is more than just one or two days; it is about a lifetime of memories. It is about capturing moments, it is about capturing emotion, it is about being able to relive the day through beautiful photos, it is about smiling at moments that you never knew happened, seeing the emotion on your family and friends faces, and most importantly of all, having a story you can treasure forever. If you are just thinking about your wedding and looking at your budget, make sure you maximise your budget for your wedding photography, it’s not just a few photos of you and your partner on your wedding day looking beautiful and happy, it is about a beautiful story of your wedding day, from getting ready and smiling with your friends and cousins, to the emotion on your dads face as he sheds a tear and looks on with pride. Capturing the beautiful details on your day after hours and days of planning, from the beautiful flowers, your dress and venue, capturing the day as it unfolds, capturing the emotion of your guests, the nervousness of the groom, all the way through to the Jai Mala, Pheras and Vidaai, this is not just any story, this is your story. Maximise your budget. Will the guests notice if you saved a little money on your flowers, will your guests really notice if you saved a little on the food, will they notice if the liquor you served was one brand lower ? Save a little where you can and maximise your photography budget, it is the only thing you will have left at the end of the day. Book quickly. The best wedding photographers get hired and booked upto 2 years in advance, so once you know the dates, and get them booked. All this planning is for one day only, one day you marry the partner you wish to spend the rest of your life with, one day you share this beautiful moment with all your family and friends that you love. Make sure you hold onto those memories and don’t look back and wish you had hired a good photographer. Here’s what you’re paying for ! Good Photographers want everyone to feel excited for their Pre-Wedding photos! We have gathered some tips to assure that you feel comfortable and arrive ready to get some great shots with your fiance. Make this photo shoot special ! You want to feel comfortable, so choose an outfit/ outfits that fit your personality. Bring an emergency layer (a nice cardigan/jacket) in case the weather isn’t as nice as you’d like it to be! Don’t emphasise on changing too many outfits, it is you and the chemistry between both that really matters, this will waste your as well as your photographer’s precious time which could be utilized for capturing more moments. Don’t emphasise much on poses, it should be more spontaneous, the love and compatibility should reflect in the pictures. Most importantly, HAVE FUN! 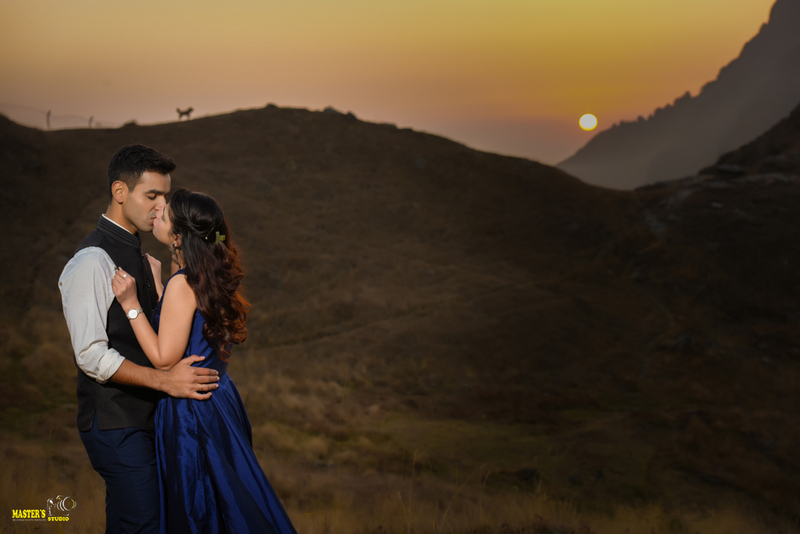 The idea of this Pre-Wedding session is to capture moments that display your love for each other! Whether you use these photos to share with family, save the dates, invitations or other purposes, they will create lovely memories to look back on and serve as a bonus practice shoot before your wedding!